Very Short Introductions (VSI) series combines a small format with authoritative analysis and big ideas for hundreds of topic areas. Written by our expert authors, these books can change the way you think about the things that interest you and are the perfect introduction to subjects you previously knew nothing about. Grow your knowledge with OUPblog and the VSI series every Friday, subscribe to Very Short Introductions articles on the OUPblog via email or RSS, and like Very Short Introductions on Facebook. This series is also available online, and you can recommend it to your local librarian. Freemasonry once again hit the headlines of UK media on New Year’s Eve 2017, revealing the contentious nature of the place of secrecy in public life. 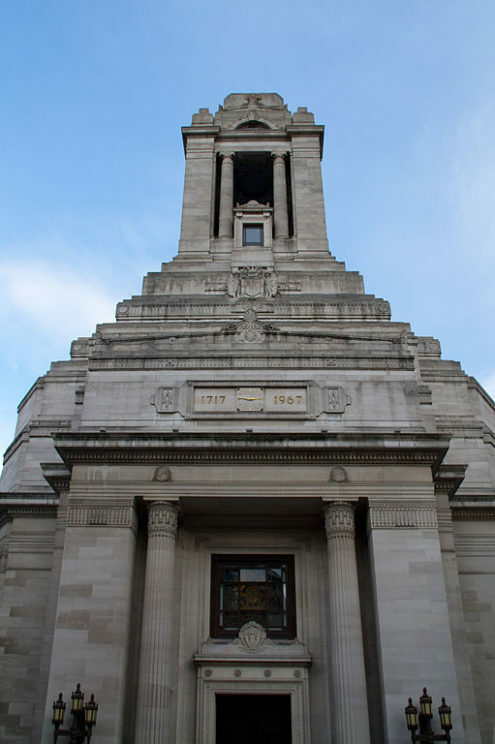 Just having concluded the celebration of its tercentenary anniversary year, the United Grand Lodge of England found itself at the center of a new (and simultaneously very old) controversy (in fact dating back to 1799). How far can membership in a masonic lodge be regarded as incompatible with the exercise of a public office? Is there any place for a secretive organization in a society demanding transparency? Or are the perceptions of incompatibility rather a sign of broken societal and mutual trust in times of political crisis? The outgoing president of the Police Federation, Steve White, on 31 December 2017 made claims in the UK media that freemasons were blocking reform in the police force, particularly when it comes to a better integration of women, black, Asian, and ethnic minorities (BAME). Membership of predominantly white and male police officers in masonic lodges was to be regarded as an old boys’ network for self-promotion, posing an obstacle for reform. It should be noted that BAME-people are not excluded from membership in contemporary English freemasonry and that even women have their own masonic orders in England, which a recent BBC-documentary screened in November 2017 revealed to the general UK public. What followed upon White’s sweeping claims was a string of reactions in the form of further articles, opinion pieces, and official statements culminating in early February 2018. This is not the place to counter White’s and other opinions (and circumstantial evidence) on the matter, but rather to look back at the UK-specific context that charge them with meaning and a long history of ideas dating back to the decade immediately after the French revolution. In a nervous attempt to identify scapegoats who could be blamed for the outbreak and violent development of the French revolution between 1789-1793, the spotlight was almost immediately directed towards groups in society that appeared to have undermined the ‘old regime’ of Crown and Church, or even worse: to plot against human society as a whole. For a host of post-revolutionary writers, it was important to explain how reason and rationality of the enlightenment in a (weird) combination with heated esotericism had created an atmosphere preparing for the ultimate collapse of conventional social, cultural, religious, and political order. Whereas freemasonry previously had been attacked by both Catholic and Protestant authorities and in some European states had been subject to governmental regulation, masonic lodges were now amalgamated with the first and powerful political conspiracy theory in modern history. Together with the infamous Bavarian Illuminati, freemasons were accused of pulling the wires behind a profound and game-changing political event with repercussions for political order across Europe. These ideas were popularized and disseminated during the 1790s and reached the UK through the writings of a French exiled Jesuit, Abbé Barruel and his friend, the Scottish professor John Robison, and his influential book with the self-explaining title Proofs of a Conspiracy (1797). Under the impression of imminent French invasion (one of the master narratives in British political mythology), in connection with the Irish Rebellion and the revelation of revolutionary groups in Britain, such as the societies of United Irishmen/Englishmen/Scotsmen, the public opinion turned against the existence of secret societies in general and against freemasonry. Freemasons Hall 2 by Tony Hisgett from Birmingham, UK. CC-BY-2.0 via Wikimedia Commons. It appears as if Prussian legislation against secret societies from 1798 prompted the British parliament in 1799 to adopt the ‘Unlawful Societies Act’. The Unlawful Societies Act outlawed any societies with secret forms of organization that required their members to take an oath of fidelity, or to pledge allegiance to unknown superiors. In both regulations however, freemasonry was exempted but placed under governmental scrutiny. But more importantly the Unlawful Societies Act (in place until 1967) made it mandatory for masonic lodges to report their membership to the Clerk of the Peace in different counties. This could all have been history if not two books appearing during the 1980s and 1990s, The Brotherhood and Inside the Brotherhood which made serious allegations against the British police force and its alleged collusion with freemasonry, a motif percolating down to popular culture. Prompted by perceived miscarriages of justice, the Home Affairs Committee at the end of the 1990s issued two reports together with a recommendation of disclosure of masonic membership for offices in the judiciary. These rules were later to be found conflicting with European Human Rights Standards and withdrawn in 2007. Only ten years later, the debate has obviously retrograded to the status just before the new millennium. Featured image credit: Praha Nekazanka Freemason Symbolism by Txllxt TxllxT. CC-BY-SA-4.0 via Wikimedia Commons. Andreas Önnerfors is Associate Professor of the History of Sciences and Ideas at the University of Gothenburg. Prior to that he was Director of the Centre for Research into Freemasonry and Fraternalism at The University of Sheffield from 2007-2010. There, he published three academic volumes and launched the first academic journal in the area, the Journal for Research into Freemasonry and Fraternalism. He is a leading expert in freemasonry and has played a key part in the development of the research area during the last fifteen years. He has written several articles in peer reviewed journals and a chapters in edited books including a chapter on Illuminism in The Occult World (by Christopher Partridge ed, Routledge, 2015). 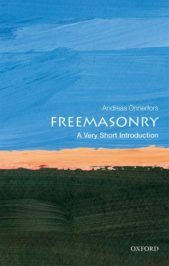 He is the author of Freemasonry: A Very Short Introduction.